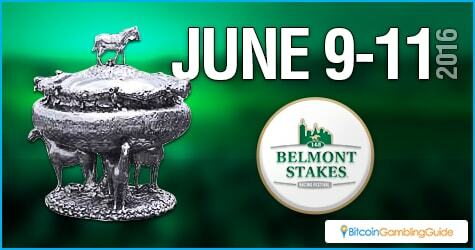 On June 11, the Belmont Stakes will be run. One of American horse racing’s most attended yearly events, alongside the Kentucky Derby and the Preakness Stakes, this closes the horse racing year for many sports bettors. This means that horse racing and sports betting enthusiasts will be interested in how this event will turn out. However, it does not match the initial excitement. When Nyquist was in the running for the Triple Crown, a lot of people were excited about the three races that comprised it. With his defeat in the Preakness Stakes, many horse race fans lost their enthusiasm. However, the Belmont Stakes is still a big event and last year attracted around 90,000 people. Additionally, some favorites like Exaggerator will be participating. The Belmont Stakes is the last part of what is traditionally called the Triple Crown. Comprising of the Kentucky Derby, the Preakness Stakes, and the Belmont Stakes, The Triple Crown is the perennial indication that the thoroughbred is among the best of the best. American Pharaoh won it last year and people were hoping that Nyquist would be another winner. There were high odds on it, mostly because of the horse’s no-loss record. However, circumstances showed why it took three decades before another Triple Crown winner showed up. Exaggerator managed to beat Nyquist in the Preakness Stakes, ending the Triple Crown fairytale. The Belmont Stakes is a very challenging race on its own. Measured at 2,400 meters, the race has been called the Test of Champions for the grueling distance it puts. Running at full power down that distance is sure to put a lot of pressure on a horse. A lot of three-year old horses do not have the strength, stamina, and experience to go the distance on this course. It takes skill to be able to hold on to the winning speed and be at the lead at the end. It is well worth it, though. As of 2014, the prize pool is worth around $1.5 million, with the winner getting $800,000. That can be sure to attract the attention of many stables, as well as the prestige of winning the race. Right now, there are quite a few horses joining the race. Unfortunately, Nyquist developed a fever after its Preakness loss and will not be participating. This is unfortunate because it would have allowed a rematch with its nemesis, Exaggerator. There are three horses that are considered the favorites. Exaggerator leads the pack. Odds on Bovada currently place the horse to win at 11-10. Finally getting out of Nyquist’s shadow, this horse is out to prove why it is a winner. The next favorite is Suddenbreakingnews with odds at 13-2. This is mostly because it has proven its chops as a distance runner. This is important in a race like the Belmont. Tied for a close third are the horses Stradivari and Cherry Wine at 15-2. 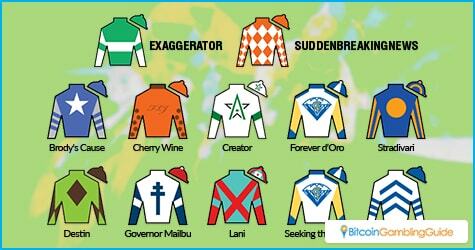 With such great horses in the race, the Belmont Stakes will still be a great race to watch. Bitcoin sports bettors should put down their wagers now so that they can get good pay outs. DerbyJackpot is a great venue to bet Bitcoin on a legal US race book, while other sports betting sites like DirectBet and VitalBet are good options as well.